We’ve talked about the M203 and M320 grenade launchers before. I just thought I’d post a cutaway pic of the ammo for them. 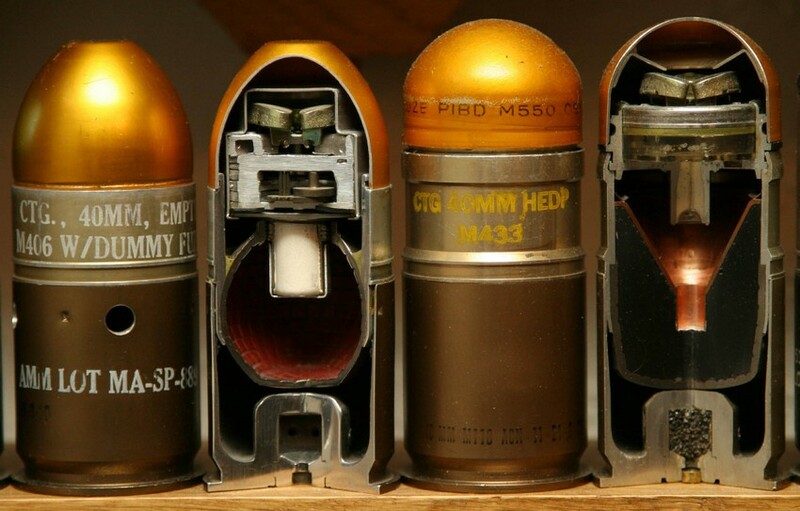 On the left is a high explosive shell, and on the right is an HEDP round, which combines fragmentation with a small shaped charge that can penetrate light armor. When I was on the range at OCS, we were shooting 40mm practice rounds from the M203. The instructor was a Major and he ended cussing a blue streak because we had gotten a bad batch of practice rounds. I think one or two might have preformed like they were supposed to. The rest were like errant bottle rockets. None went where they were aimed. It was the only bad experience at the range.